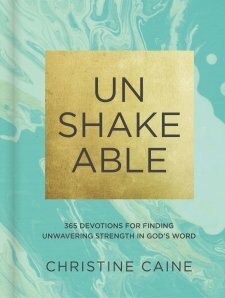 Christine Caine is a powerhouse and "Unshakeable" is an awesome devotional for the entire year that is powerful. I love how each devotional starts with a Bible verse and the verse actually goes with the devotional. The devotional unpacks the Bible verse in a clear and powerful way with application or it prods questions in your own life to find out how the reader is living out the truth. The devotional always ends with a prayer that is a direct reflection of the devotional and it is very simple, yet a good and meaty truth. What is great about devotional is the fact that you will find strength admist a storm no matter what you are facing. This devotional is one of my favorites that I have seen so far. I would give this book more than 5 stars if possible. Thank you to the publisher for providing me a complimentary copy. A favorable review was not required. 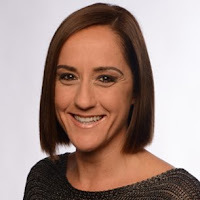 Christine Caine is a recognized teacher, preacher, author, and activist. As a founder of The A21 Campaign, Christine leads one of the largest non-profit organizations in the world dedicated to rescuing victims of human trafficking in twelve countries. Additionally, through her personal ministry, Christine shares messages of hope, encouragement, and freedom in churches across the globe and frequently addresses leaders of some of the world’s largest organizations. 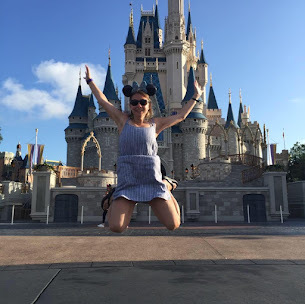 Christine and her husband, Nick, spend their time in both Sydney, Australia, and the United States, and they adore their daughters Catie and Sophie.